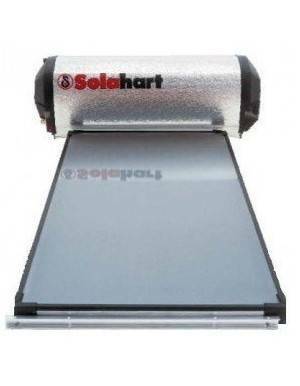 Solar thermal equipment thermosiphon type for water Solarbasic of 300 liters. Spanish equipment adapted to the conditions of operation in Spain. 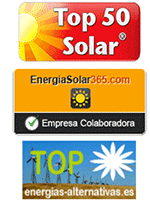 A robust kit with all the guarantees and the best value for money. The equipment works by the circulation of the thermal fluid when heating, therefore does not need a recirculation pump and the maintenance is minimum. The equipment bases its operation on heating the water to the passage inside the coil made of 316 stainless steel, therefore, there are no problems of legionela or corrosion. 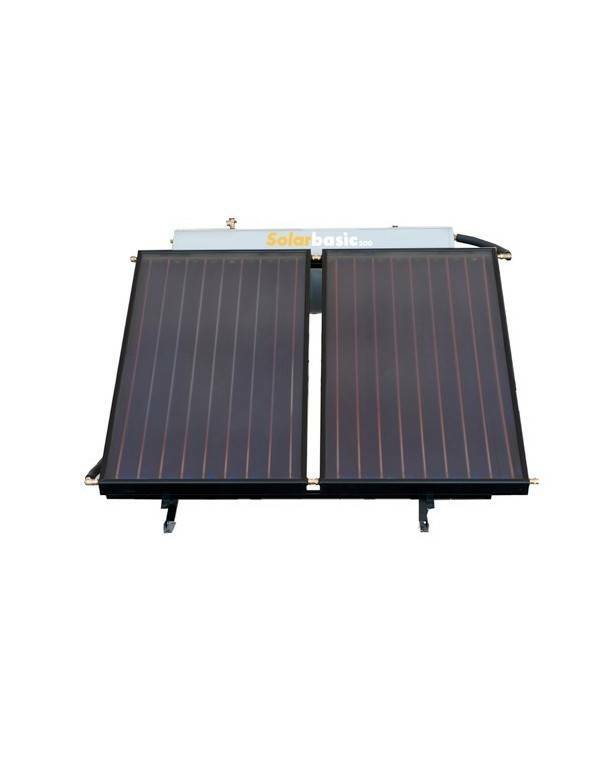 The secondary used for the consumption of the Solarbasic300 equipment is formed by a 36m coil, which ensures that the water obtains the highest possible temperature. This circuit withstands pressures greater than 10 bar, being also self-cleaning in terms of calcareous scale. 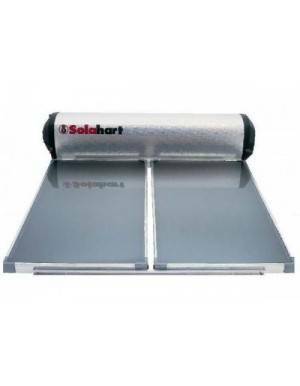 As for the deposit of the Solarbasic300, this has an insulation made of polyurethane foam; the outer cover being cylindrical and of steel coated with electrostatic dust, and the carbon steel interior with a thickness of 2 mm. The warranty on the collectors is 10 YEARS and the warranty on the accumulator of 5 YEARS.